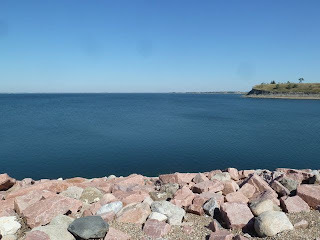 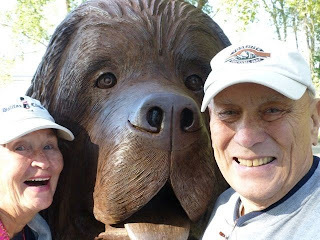 Our drive north up 83 and 200 took us first to the Lewis and Clark Interpretive Center in Washburn ND, Fort Mandan Replica,Fort Clark site,Garrison Dam and Fort Stevenson SP on Lake Sakakawea. 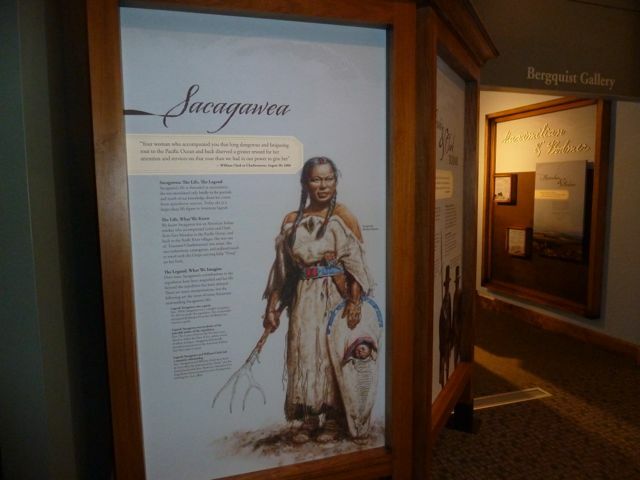 In North Dakota it is spelled the Hidatsa interpretation while the most common spelling is Sacagawea. 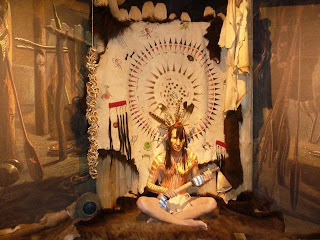 The name means "bird woman". 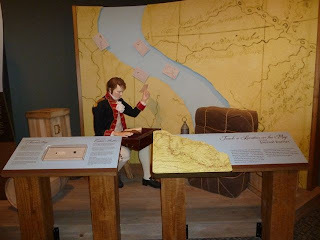 This is one of several Lewis and Clark Centers we have visited in our travels as we traveled many of the routes the expedition took. 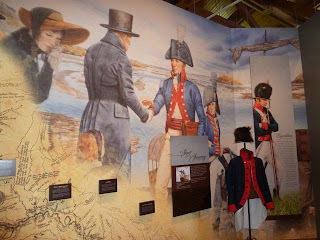 The interpretive center tells the fascinating story of the Corps of Discovery's expedition across the continent. 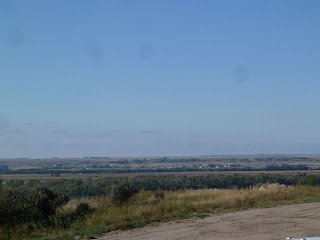 The Center overlooks the Missouri River. 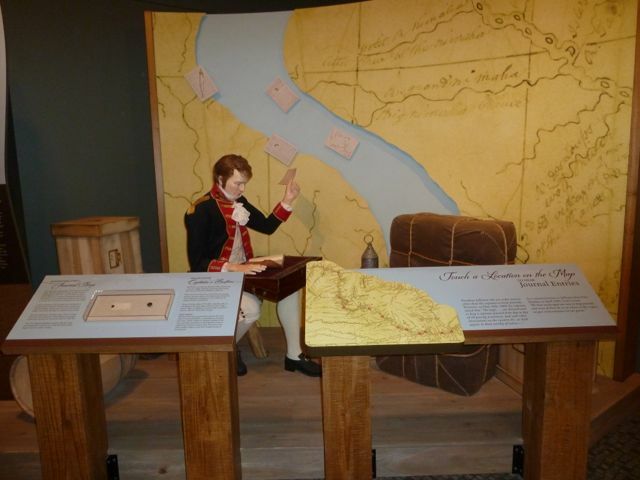 The galleries exhibit a world class artifact collection and many interactive kiosks. 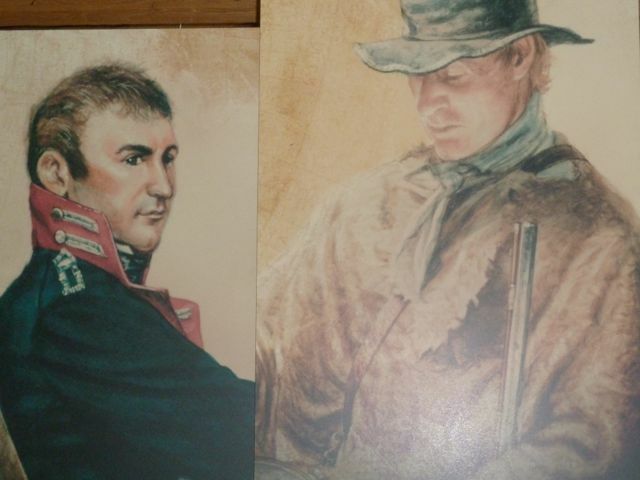 The art of Karl Bodmer is highlighted along with Prince Maximilllian's 1832-1834 journey. 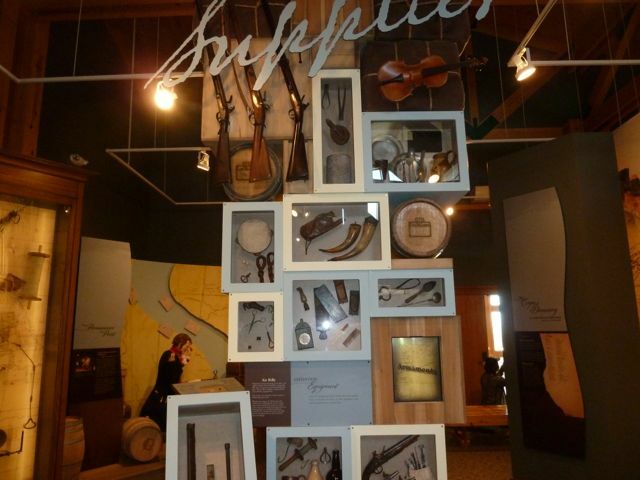 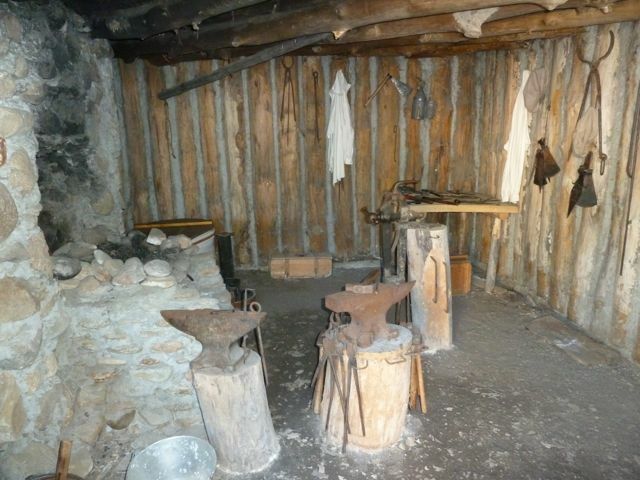 The story of the steamboat and fur trade is told in the Fort Clark gallery. 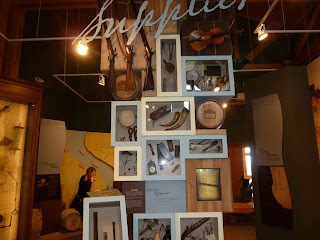 Added exhibits detail the agricultural heritage of North Dakota from the Mandan and Hidatsa through the homesteaders into the present. This is definitely a stop if in the Bismarck or Minot area as it is half way between. 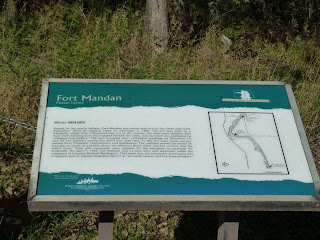 The replica of Fort Mandan just 2 miles from the Center was our next stop. Fort Mandan is where Lewis and Clark wintered on their journey and engaged the services of Charbonneau and Sacagawea (Sakakawea) to join them on their continuing journey. 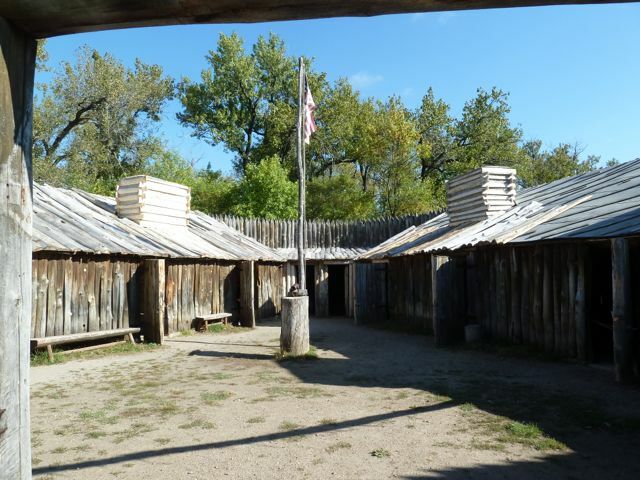 The fort is across the Missouri from Fort Clark.It was a brutally cold winter and the Mandans provided them with food and valuable knowledge of the country west to the Rockies. 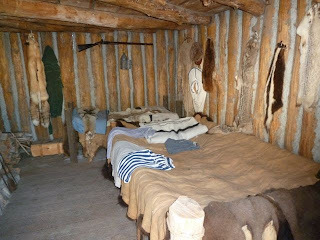 It is believed that had it not been for the help of the tribes along the way, they would never had made it to the Pacific. 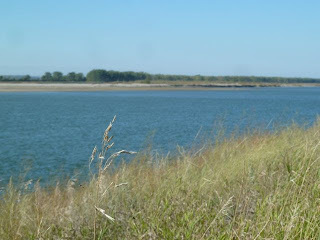 The journey began 14 May 1804 and took 28 months and traversing 8,000 miles of land and water from Camp River Dubois in Illinois on the Mississippi returning 23 September 1806 to St Louis. While at Fort Mandan, Sacagawea gave birth to her son Jean Baptiste on 11 February 1805.Later in the journey on 8 August she recognizes Beaverhead Rock and realizes they are nearing the homeland of her people the Shoshone. 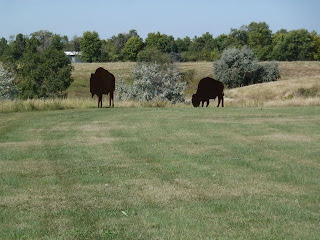 Upon arrival in the village she is reunited with her brother,Cameahwait. 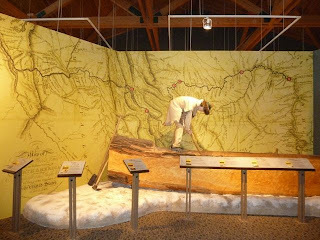 An elderly member of the tribe agrees to lead them across the Bitteroot Mountains to the headwaters of the Columbia.Over the course of the expedition, they came in contact with almost 50 different tribes who provided food, horses,knowledge and trading opportunities. Only once did they have an encounter with violence involving a party of Piegan Blackfeet who were trying to steal their horses and food. 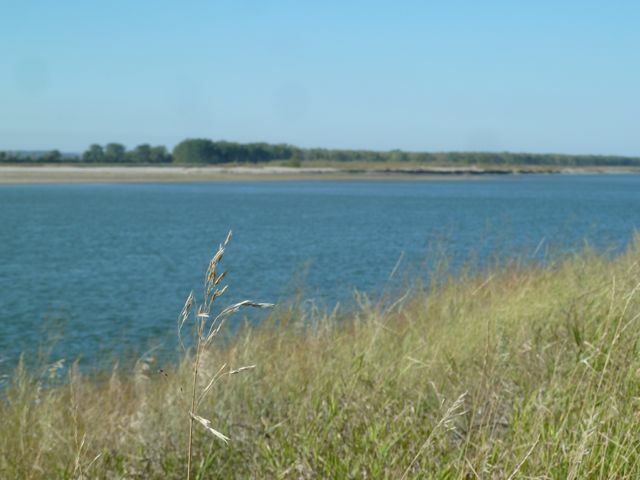 Two Blackfeet are killed.Winter Quarters were established 24 November 1805 on the south side of the Columbia River and named Fort Clatsop. On 23 March 1806 the long journey home began. 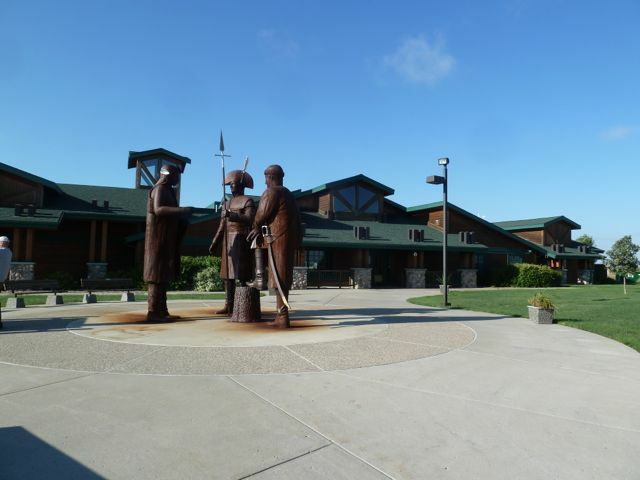 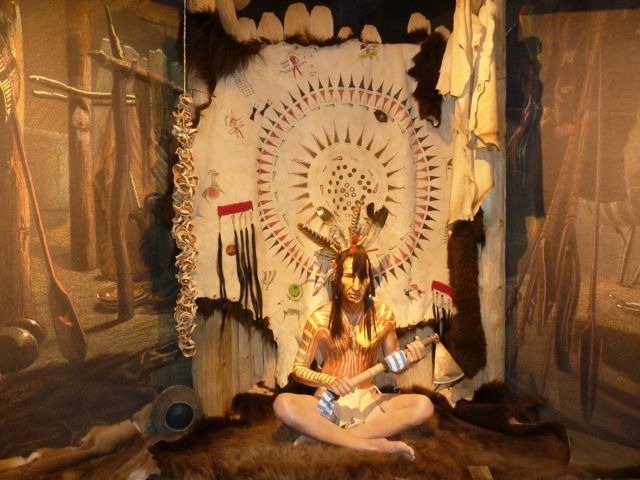 Sacagawea and Charbonneau left the exhibition on 14 August at place of Mandan Villages.There are many books written and I have just touched on some of aspects. Much has been written about Sacagawea and it has been difficult to separate fact from legend. When we were in Wyoming at Fort Washakie on the Wind River Shoshoni Reservation,we visited the cemetery that is supposed to be the grave of Sacagawea. 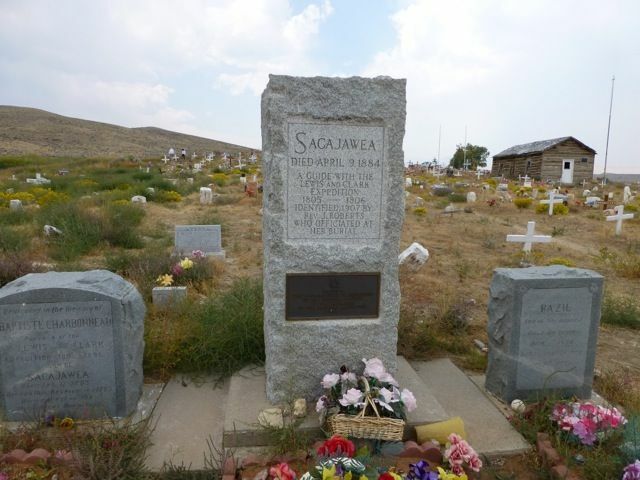 It is stated on the tombstone that she died in 1884 not 1812. It is widely believed that she died in 1812 at Fort Manuel Lisa in what is now Kenel SD. 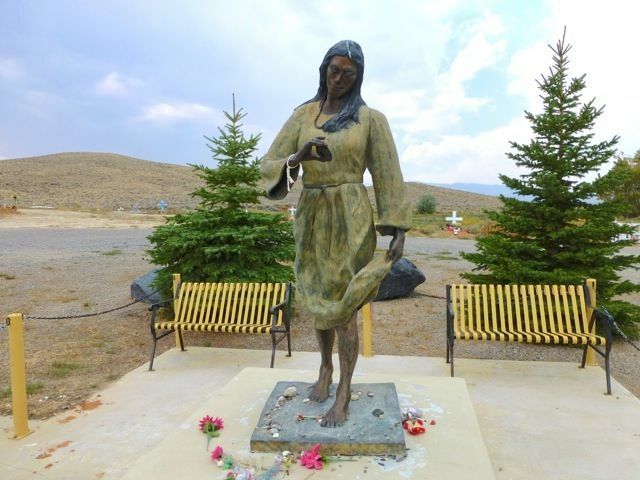 The confusion may arise due to the fact that Charbonneau had two wives and whether it was Sacagawea or" his 2nd wife who actually died in 1812. Her son was adopted by Clark and her daughter born in 1810 died a young age. 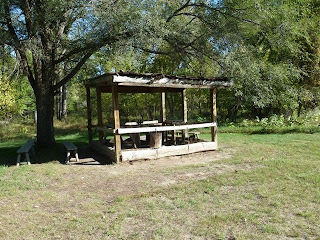 This is not known for sure either. 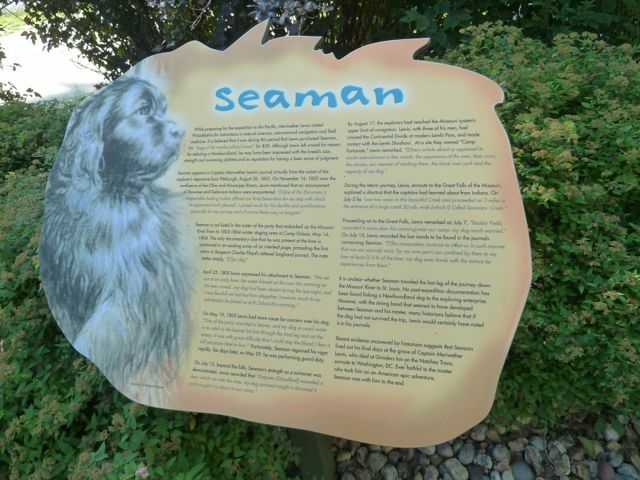 Now for a few words about Seaman, Clark's dog that accompanied the expedition. 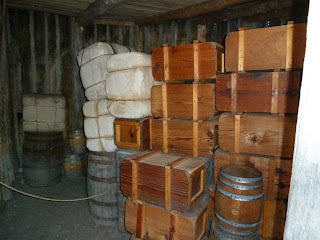 It is not know how or when Seaman died, but legend has it he grieved and starved when Clark died. 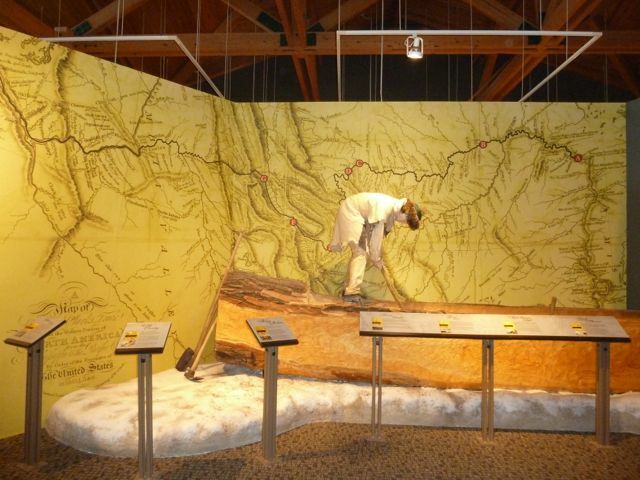 Clark purchased Seaman for $20 and the only animal to complete the trip.During the expedition Lewis and Clark performed surgery on an artery in his hind leg that had been severed by a beaver. 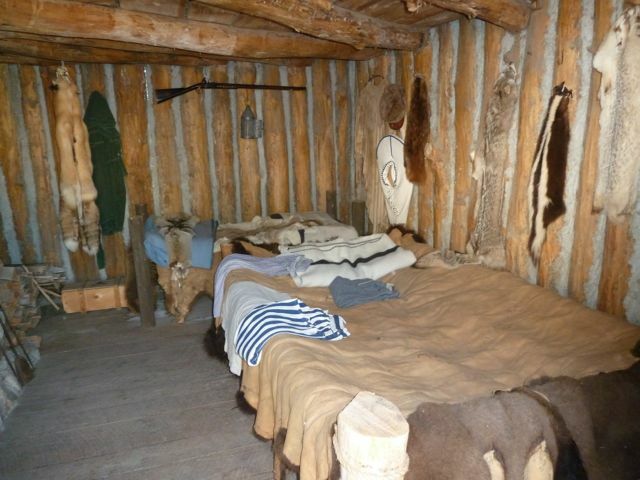 In early 1806, Seaman had been stolen by Indians and after a threat, the dog was returned. Seaman alerted the party to unexpected guests including human and animal. 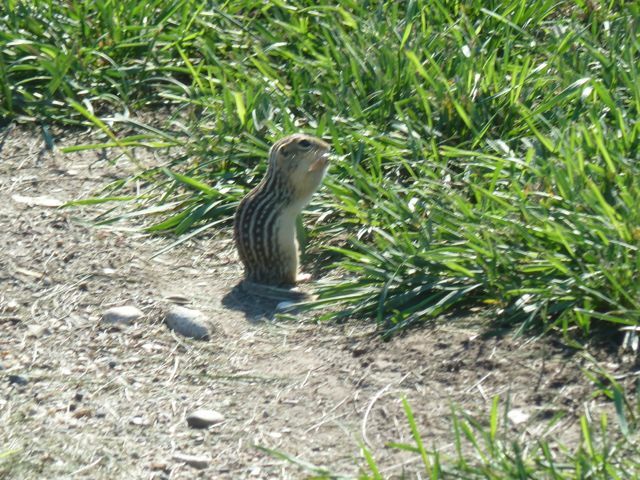 He was noted for his hunting abilities and rescues. 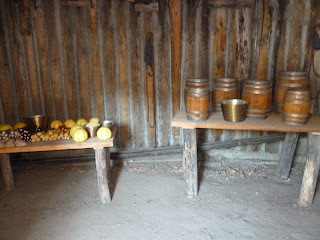 Indians were fascinated by him and offered valuable trade items. I couldn't resist giving him a hug at Fort Mandan. 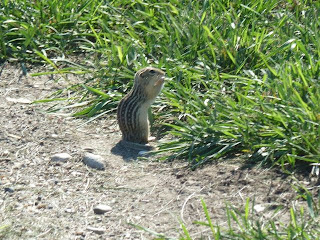 When I sent the picture to daughter Hope, her response was 1st "this is super cute." 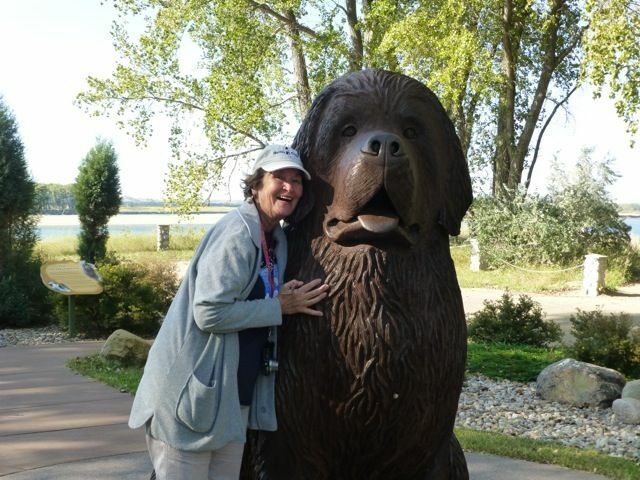 Her 2nd thought was "If there was a dog this big,Mom would have one". How Could Not Hug Seaman? 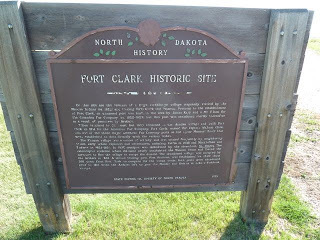 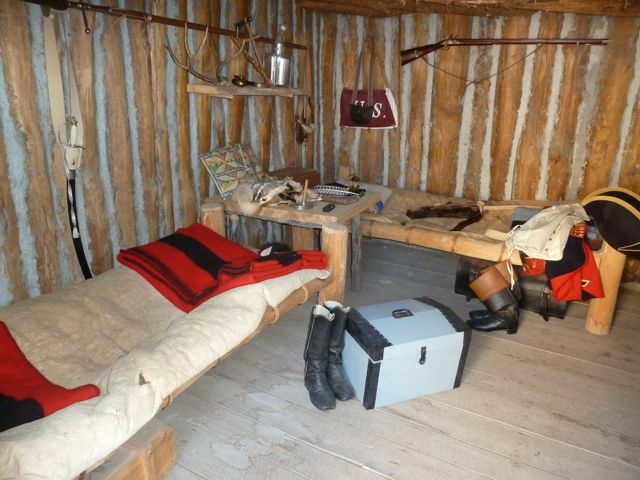 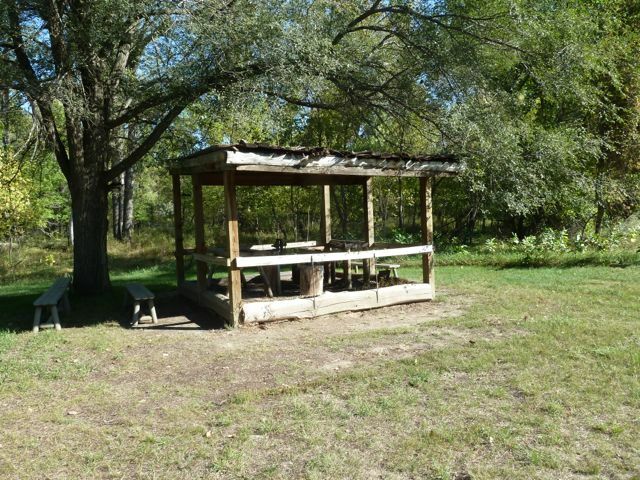 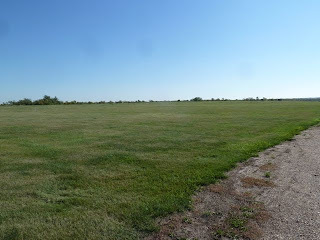 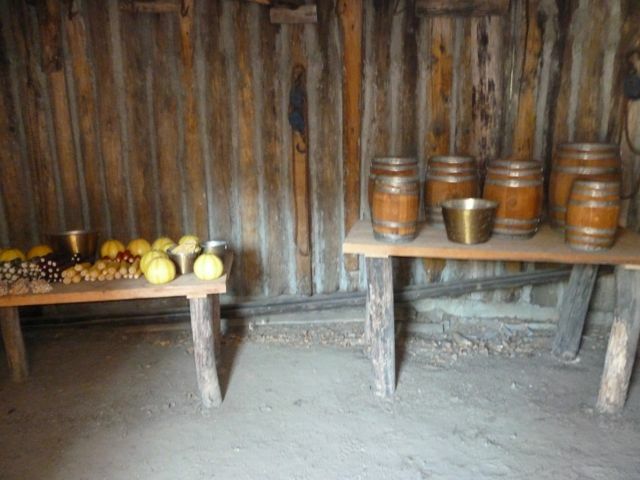 Fort Clark Trading Post is one of the most important Archaeological sites in North Dakota. Smallpox and cholera epidemics destroyed the inhabitants of the Mandan and Arikara Villages. The remains of the large earthlodge village, cemetery, and two fur trading posts are now marked by signs. 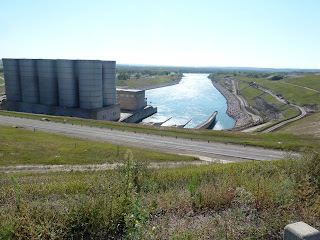 Continuing on Hwy 200 we stopped for photos of the Garrison Dam on Lake Sakakawea and Missoui River. 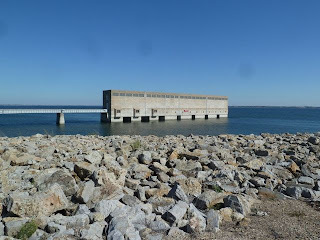 It is the fifth largest earthen dam in the US. 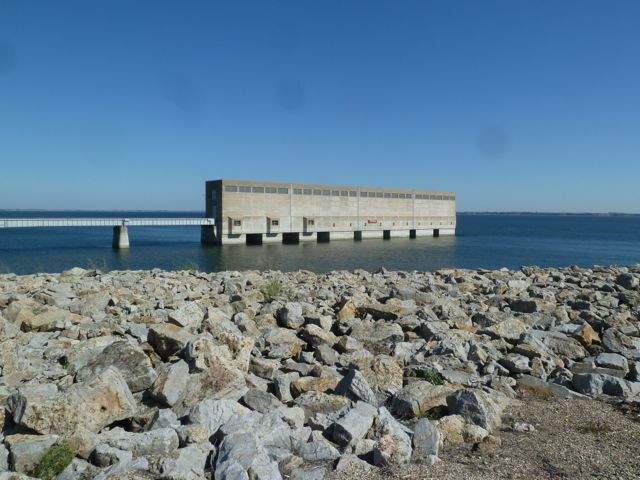 It would take a train 16,000 miles long to carry the entire fill in the dam. 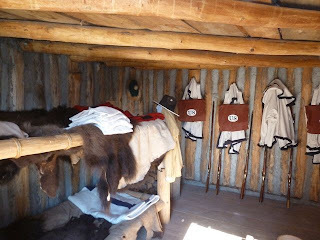 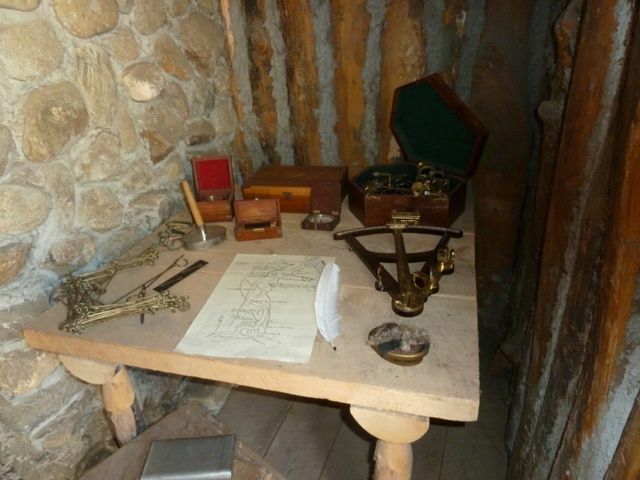 Our last stop was Fort Stevenson SP and the Blockhouse which is an Interpretive Center. Unfortunately it was closed for the season and we were only able to get outside pictures. It is located on Lake Sakakawea and across from the dam. 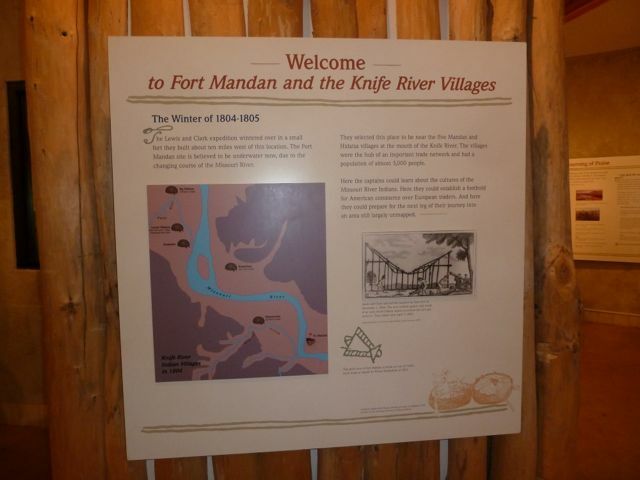 The original fort is underwater and was located on the Missouri 2 miles SW. 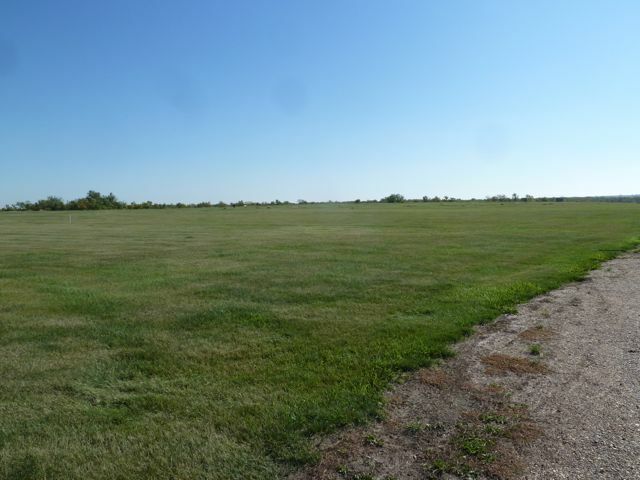 It was built to provide protection from the Sioux for the Mandan,Arikara and Hidatsa tribes. 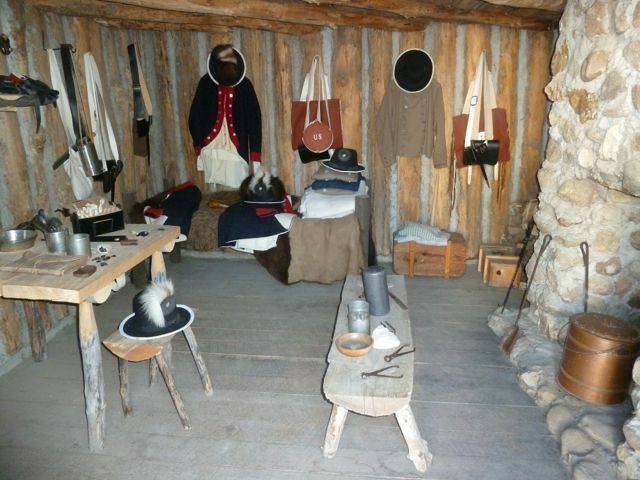 It also served to guard the emigrant and mail routes and as a supply base for Fort Totten. 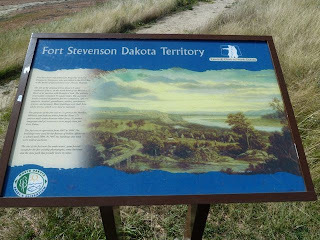 Construction began in 1867 and the fort was abandoned in 1883 following the surrender of the Sioux. 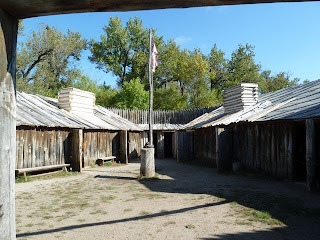 It later became an Indian School for several years. 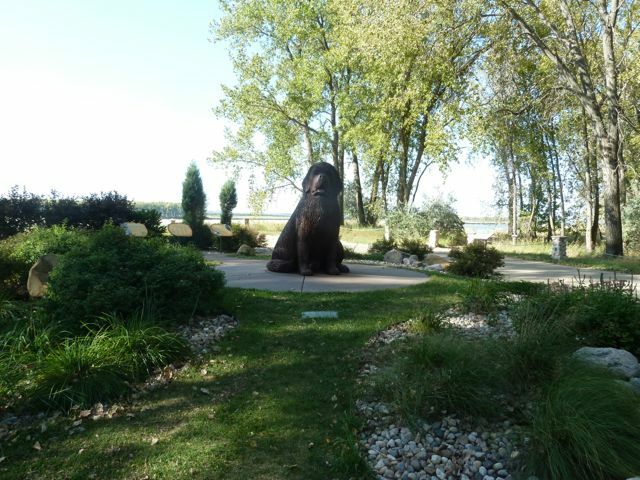 Tomorrow we prepare to leave for Minot..just 100 miles up the road..we will be there 3 nights.